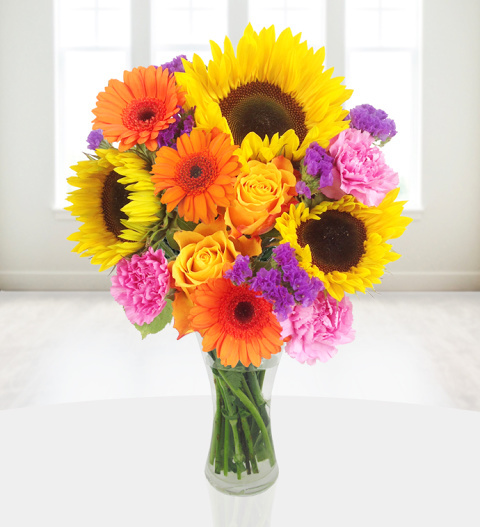 Our Summer Dusk bouquet is a stunning arrangement of fresh Sunflowers complimented with bright germini flowers, mango roses, carnations and statice. The arrangement is skilfully arranged by our incredibly talented florists and is simply a perfect bouquet suitable for all occasions. Summer Dusk is available for UK next day delivery and comes with a FREE box of delicious Belgian chocolates. Chocolates may contain nuts.